In 1902, German engineer Gottlob Honold invented the spark plug, a small device designed to ignite the fuel-and-air mixture in the cylinders of an internal-combustion engine, eliminating the clumsy break-spark rodding used in earlier magneto ignition system. Spark plugs are now manufactured with different metals, thread design, and electrode arrangements, but Honold's basic design remains recognizable. His other inventions include an electric regulator (1917) and an innovative auto lantern (headlight, 1913) that used a curved mirror behind the bulb to project light 200 meters in front of the moving vehicle. 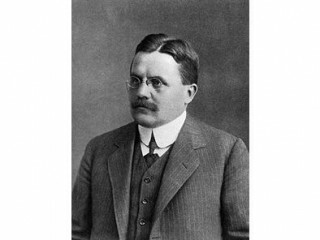 Honold, however, has been largely forgotten by history, because his inventions came while he was employed as an engineer at Robert Bosch GmbH, which thus owned and marketed his work. He also designed the Bosch corporate logo (an armature within a circle), which has been changed little in subsequent decades. At his death in 1923, he was eulogized as "the moving spirit behind every important development at Bosch since 1902". In English, his first name has sometimes been spelled 'Gottlieb'. View the full website biography of Gottlob Honold.